Private 202422 Alfred John Thomas Wooldridge, 2nd/4th Battalion, Royal Berkshire Regiment. lived in a cottage south of the farm. Alfred was born at East Garston on 19 August 1888 the only child of Alfred Wooldridge and his wife Rose Ada, née Wallace. The following year Rose died and Alfred senior and junior moved in with Rose’s parents at Gooding Farm, East Garston. Both Alfred senior and his father-in –law, John Wallace, were carters, presumably working on the 1,000 acre Goodings Estate. In 1894 Alfred senior remarried, to Esther Wilder and two more sons, William Herbert (1898) and Sidney (1900) completed the family. On the 1901 census the Wooldridge family were enumerated at Goodings in East Garston. The following year Alfred junior would have left school and begun work on the farm where he followed his father and grandfather as a carter. 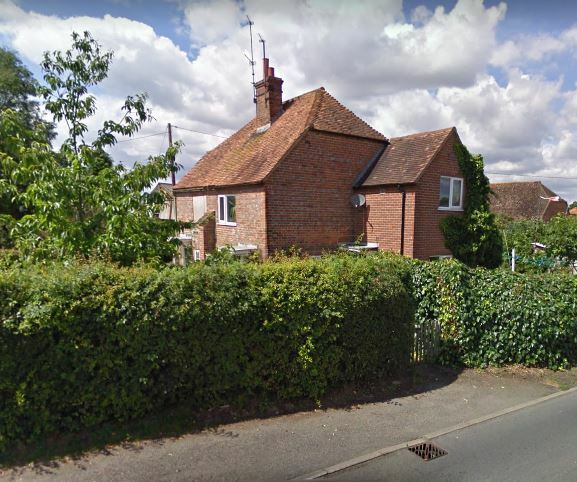 By 1911 the whole family moved to Wash Common Farm, Enborne, where they had one of the cottages to the south of the farm, along Enborne Street. Although in Enborne those living there would probably consider themselves to be Newburians (cross the road today and you are in Newbury, back then the border was 100 yards or so to the east). Alfred was employed as a farm labourer at Sandleford Grove farm; in 1916, after the introduction of conscription, he was called up. However, his employer, Miss Asprey, appealed against his conscription because he was needed on the farm. So many farm workers had already volunteered that there was a serious shortage of skilled labour; many other farmers were also attempting to hang on to the men they had. A J Wooldridge, farm labourer in the employ of Miss Asprey, of Sandleford, was granted six months from March 17. The Military appealed, but the appeal did not succeed. Thus, in September Alfred became eligible to be called up, and he joined the army, probably training with the 3rd Battalion, Royal Berkshire Regiment before being sent across the Channel to an Infantry Base Depot (IBD) in France where he would be allocated to a battalion in the field as and when the call came. Meanwhile he would continue training. 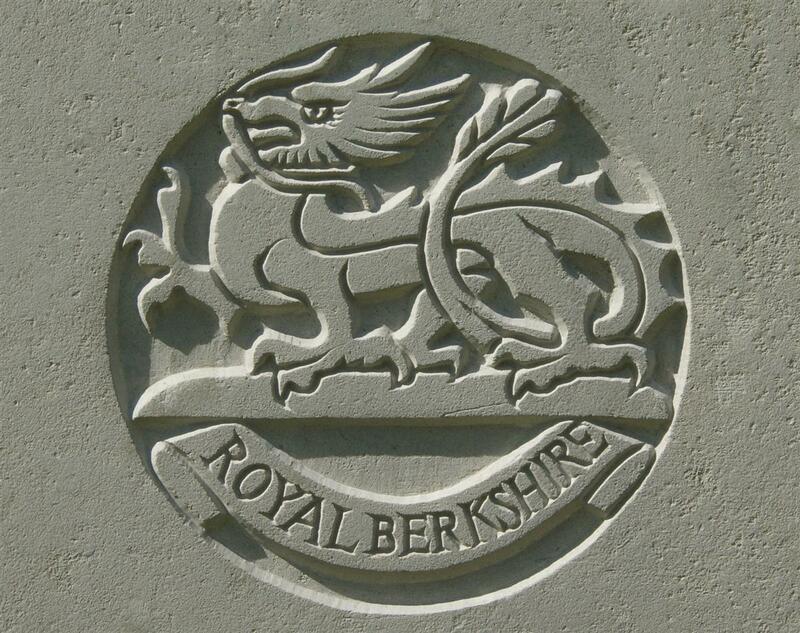 Each IBD serviced the needs of a number of regiments, if a man had trained with the Royal Berks there was no guarantee that he would serve at the front with a Royal Berks battalion, but there did appear to be some attempt to maintain continuity in this fashion and Alfred was posted to the 2/4th Battalion, Royal Berkshire Regiment where he was given the service number 202422. Given his likely date of enlistment and typical training periods he probably joined the battalion in March/April 1917. Bois d'holnom: Working on "BROWN LINE" consisting of digging of strong points by "A" Coy and wiring of existing points and line by C and D Coys. Wounded 1 OR who died of wounds following day. Although the diary states that the wounded OP (other rank) died on the following day there is little doubt that this was Alfred, whose death is officially recorded on that same day. Alfred died at the 92nd Field Ambulance, near Foreste, west of St Quentin. This was not an ambulance as we understand the term today: a WW1 Field Ambulance was a unit manned by over 100 men – doctors, nurses, horse and motor ambulance crews, porters, etc. A casualty would be passed from the front through a first aid station in the support trenches to the care of a Field Ambulance which would be based near to the front, but out of the immediate danger area. From a Field Ambulance those survivors requiring further treatment would go to a Casualty Clearing Station (CCS) before being repatriated to a hospital in the UK possibly via a Base Hospital in France. A casualty reaching 92 Field Ambulance during a quiet period – such as 24 August 1917 - could expect to be passed on to a CCS within hours, unless it was seen that he was an impossible case (he may even have died in transit to the Field Ambulance). The battalion recorded no other casualties for over a week prior to 24 August so it is clear that it was Alfred mentioned in the war diary. Sadly there is not enough information to determine how Alfred received his wounds, but working party activities such as those recorded in the war diary were never without risk. His wounding may well have been down to his inexperience, newcomers to trench life were always more vulnerable, they did not have the experienced man’s instinct to keep out of enemy sniper’s sights, to move silently in no-mans land, to sport the unexploded ordnance under foot, or to drop to the ground before the shell burst. WOOLDRIDGE – April 24, died of wounds received in action, Pte Alfred J T Wooldridge, Royal Berks Regiment, BEF, France, aged 28. WOOLDRIDGE – April 24, died of wounds received in action in France, Alfred J T Wooldridge (Alfie), Royal Berks Regiment, BEF, France, eldest, beloved son of Mr and Mrs Wooldridge, Wash Common,aged 28 years. From his loving Dad, Mum, and Brothers. immediately above his brother Sidney. Alfred was buried in grave II.D.3 at Foreste Communal Cemetery 14km west of St Quentin, France. Locally Alfred is remembered on the Newbury Town War Memorial and, as Alfred Woolridge, on the memorial tablet in St Michael and All Angel’s Church in Enborne. 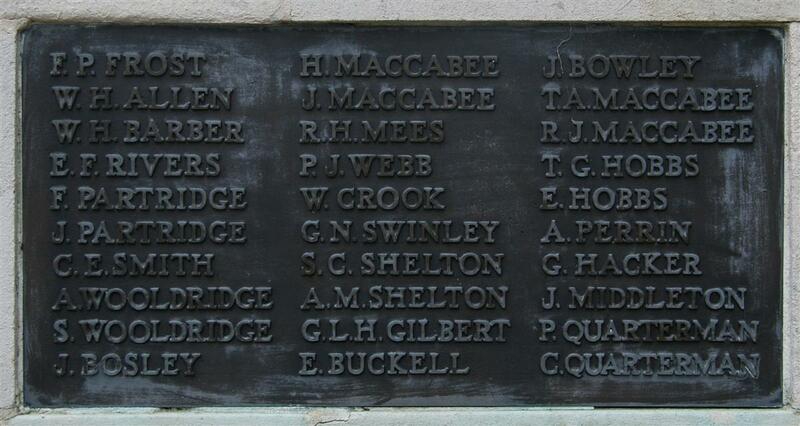 His name was also recorded on the roll of honour board in St John’s Church, Newbury, which was destroyed when the church was bombed in February 1943. Yet not so far the think of thee. From his sorrowing Father, Mother and Brothers. In ever loving remembrance of Pte Alfred Wooldridge, 2/4th Royal Berks Regt, of Wash Common, who died of wounds in France April 24th 1917. Out of the sin and sorrow, safe in the arms of God. His young half-brother, Sidney, was also a casualty, dying in Mesopotamia (Iraq) in 1920 while serving with the Duke of Cornwall’s Light Infantry. Strangely he is not remembered on the Enborne memorial although the brothers' names are listed together on the Newbury memorial.